Most Chinese technology companies constantly try to be among the best in the world and this is especially true for the Chinese smartphone makers. Huawei is an excellent example – the company is known for making high-end smartphones with really good prices and this was the key to Huawei’s success in the past few years. 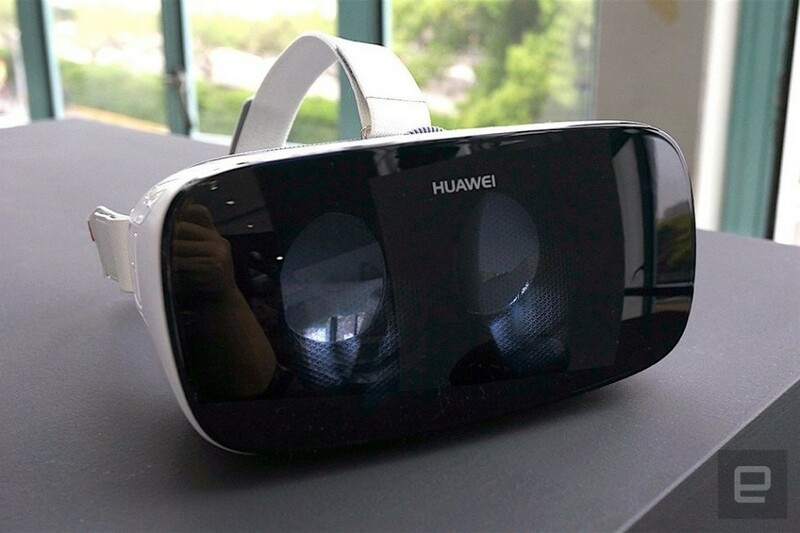 After virtual reality devices gained momentum in the last few months, Huawei simply had to be there too and now the company has just announced its first virtual reality device. The new Huawei device carries the rather simple name of Huawei VR and comes in the form of a headset but it has one serious drawback – in order for it to function, it needs a Huawei smartphone. Currently the Huawei VR comes in three versions that are supported by the Huawei P9, P9 Plus and Mate 8 smartphones. The handsets share common tech specs, namely their displays function at 1920 x 1080 pixels, which is rather low for a VR device but if you happen to get your hands on a Huawei VR device, you will have to live with this. But the Huawei VR happens to be the first VR device that comes with 360-degree surround sound and then with it you also get 95-degree viewing angles, 20 ms of response time and a special light filter. Huawei says that the Huawei VR headset will arrive with 4000 movies that you can watch with it, more that 350 panoramic images and even virtual tours, so you will have something to use the VR device with. No word on pricing as of now, but given the tech specs of the Huawei VR, the device should not be expensive.